Whenever there is talk of culture that reaches far beyond Hamburg’s city boundaries, it is usually to do with music. Hamburg's great appeal as a music city dates back to the 17th century: it was in 1678 that Europe’s first public opera house opened its gates here on the Gänsemarkt. 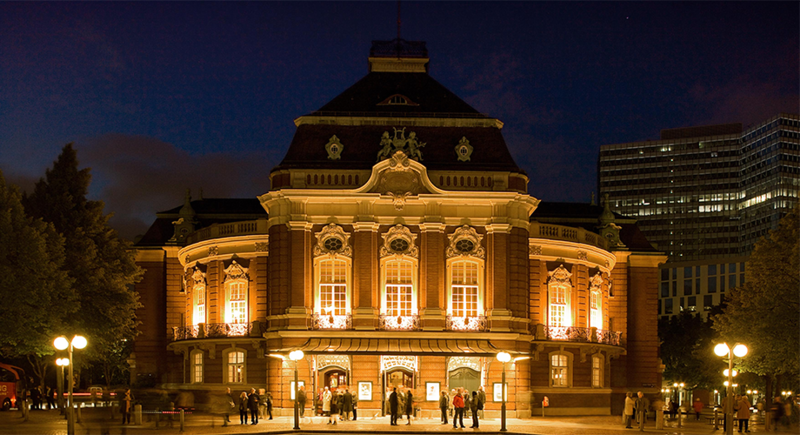 Today, Hamburg’s rich music scene includes three professional orchestras, several distinguished soloists and chamber ensembles, jazz, rock and pop artists, composers, singer-songwriters, electro artists as well as several renowned training institutions. Since January 2017, the Elbphilharmonie Hamburg is providing a new venue for many of these artists – and for some of them even a new home: the North German Radio Symphony Orchestra, which has been renamed the NDR Elbphilharmonie Orchestra, is the Grand Hall’s Orchestra in Residence, and the Ensemble Resonanz is the Recital Hall’s Orchestra in Residence. 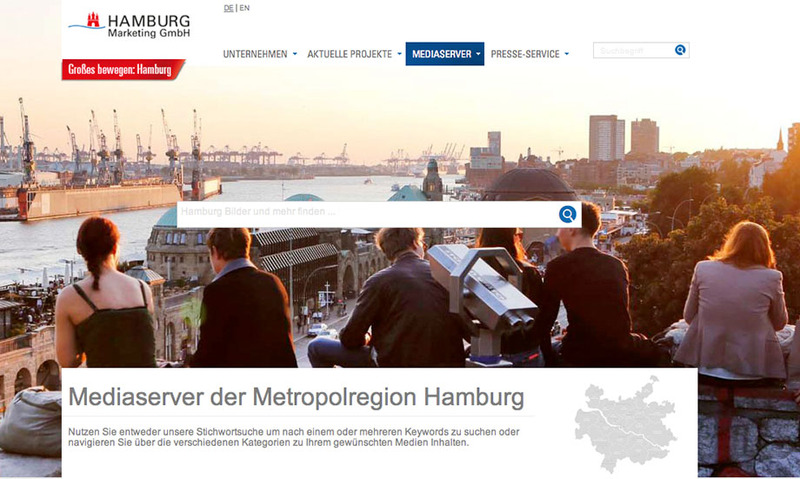 The people of Hamburg not only love their city, but they also love their music. And since Hamburg was never ruled by kings or princes, it has always been the citizens themselves who have shaped the city’s music landscape. Public music venues beyond those established by the church started evolving as early as the 18th century. 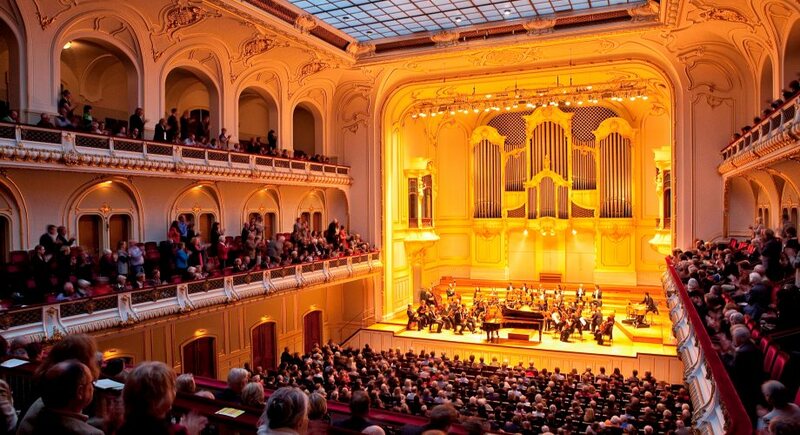 1908 saw the opening of one of Europe’s most beautiful concert halls: the Laeiszhalle, which was built in neo-Baroque style. And up until WW2, the Laeiszhalle was by no means the only venue for symphonic concerts: the Conventgarten, which was destroyed in 1943, accommodated an even bigger audience than the Laeiszhalle. The Elbphilharmonie Hamburg, an architectural gem and the city’s new landmark not only in the realms of music, is now to double Hamburg’s capacities and is providing Hamburg with the great opportunity to (re)gain a prime position among the world’s most eminent music locations. Following his visit to Hamburg in 1772, music historian Charles Burney observed: »The number of operas in Hamburg staged at the end of the last and the beginning of the present century is greater than in any other city in the German Empire«. At the time of writing, the opera house on Gänsemarkt, which was founded in 1678, was almost 100 years old and had experienced golden years, but also hard times. Baroque composer Georg Philipp Telemann (1681–1767), who served as church music director of Hamburg’s five Lutheran main churches for 46 years, as well as Carl Philipp Emanuel Bach (1714–1788), who held the same office for another 20 years, played their part in praising God in music and in delighting their audiences. 2015 saw the inauguration of the »Composers’ Quarter« on Peterstrasse in close proximity to St Michaelis Church. Created by a consortium of dedicated citizens and local initiatives, the quarter now serves as an unassuming place of remembrance for composers who were born in Hamburg or played a major role in shaping the city’s music landscape. Rebuilt in historic style, the small terraced houses in the Neustadt district now bring local music history to life, with exhibits on Georg Philipp Telemann, Johann Adolf Hasse and C.P.E. Bach, Fanny and Felix Mendelssohn Bartholdy, as well as Johannes Brahms and Gustav Mahler. Two of the most influential composers of classical modernism acted as professors of composition in Hamburg: Alfred Schnittke (1934–1998) and György Ligeti (1923–2006). Sofia Gubaidulina (*1931), who lives in a Hamburg suburb, further adds to the fame of Hamburg-based composers influenced by Russian culture. Composer Felicitas Kukuck (1914–2001), who was born in Hamburg and studied under Paul Hindemith, wrote the majority of her more than 1,000 works in the district of Blankenese, where she lived from 1948 until her death. Today, Hamburg is home to hundreds of composers, all of whom play their part in adding their very own style to the colourful landscape of contemporary music in Hamburg. Hamburg boasts several renowned orchestras, among them three professional orchestras – the NDR Elbphilharmonie Orchestra, the Hamburg Philharmonic Orchestra and the Hamburg Symphony Orchestra – as well as more than 100 amateur orchestras and choirs, in addition to professional vocal and chamber ensembles such as the NDR Choir and the Hamburger Camerata. The Ensemble Resonanz string ensemble combines innovative concert formats with excellent soloistic qualities and constantly seeks to cross genre boundaries and to interact with other art forms. 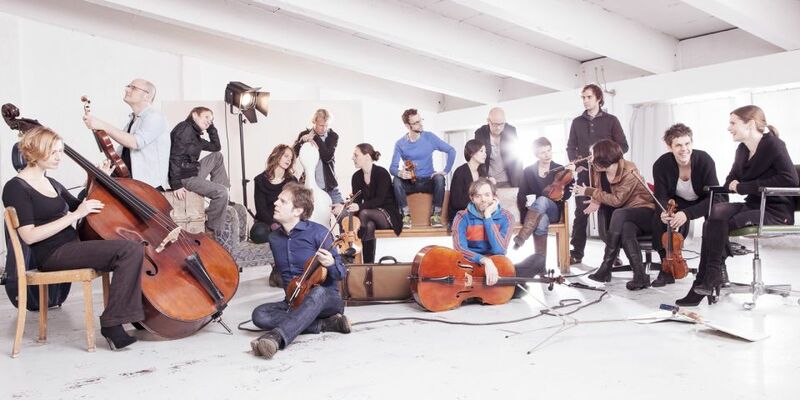 The sound of the Ensemble Resonanz’s stringed instruments can be experienced in concert halls, clubs and bars, in the ensemble’s own »Resonanzraum«, which is located in the Media Bunker in the off-scene district of St Pauli. Since January 2017 they can also be experienced in the Recital Hall of the Elbphilharmonie Hamburg. Under the directorship of Rolf Liebermann, the Hamburg State Opera became of repute as an eldorado for contemporary opera productions after WW2. Since September 2015, the Hamburg State Opera has been headed by Kent Nagano as general music director and Georges Delnon as artistic director. The Hamburg Ballet John Neumeier, which has been under the baton of choreographer John Neumeier for more than 40 years, enjoys an excellent reputation around the world. Launched several years prior to the Elbphilharmonie‘s opening, the »Elbphilharmonie Konzerte« concert series has been offering a foretaste of the Elbphilharmonie’s varied future programme. Hamburg is currently gearing up for a broad musical quality initiative – with classical and contemporary music, jazz and crossover, world music, electronic music, avant-garde pop, as well as various exciting festivals. These include events with a regional focus, such as the »Rantakala«, the »Sounds of Israel« and the »Alpenmusik« festivals, and events with a focus on specific instruments, such as the »Akkordeonist!« festival. Since the opening of the new concert hall on the Elbe in January 2017, the effects of this initiative are able to bloom in full. »I was born in Liverpool, but I grew up in Hamburg« – these words of John Lennon are still music to the ears of Hamburg’s locals. 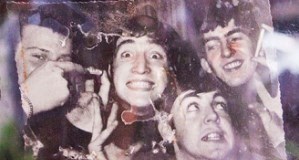 Back then, in the early 1960s, very few would have imagined that the music venues of the St Pauli district would become the springboard to propel the Beatles’ unparalleled international career. And it was the Hamburg photographer Astrid Kirchherr, who decided some time during their long-running club performances to give the Fab Four their famous mushroom hairdos. A little later in Hamburg, Achim Reichel founded the Rattles, who then went on tour with the Rolling Stones. This was followed by bands such as Frumpy and Atlantis, and in the mid-70s the »Hamburg scene« reigned with bands such as Otto, Lonzo Westphal, the Rentnerband and Udo Lindenberg. When, in the early 90s, the School of Hamburg discharged bands such as Blumfeld and Tocotronic into the world of pop from its classroom, Udo Lindenberg seemed almost like a dinosaur – and his great comeback in the late noughties is one of the nicest surprises for Hamburg’s contemporary music scene. 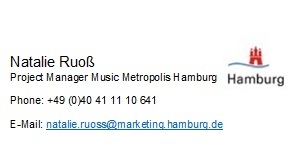 Hamburg’s most popular pop bands currently include artists such as Jan Delay, Stefan Gwildis, Scooter, Annett Louisan and Deichkind as well as the late jazz-pop crooner Roger Cicero. 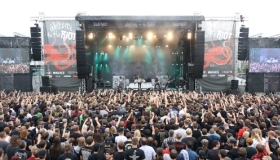 Taking place each year in September, the Reeperbahn Festival brings industry experts and fans together for a long weekend with hundreds of performing bands. 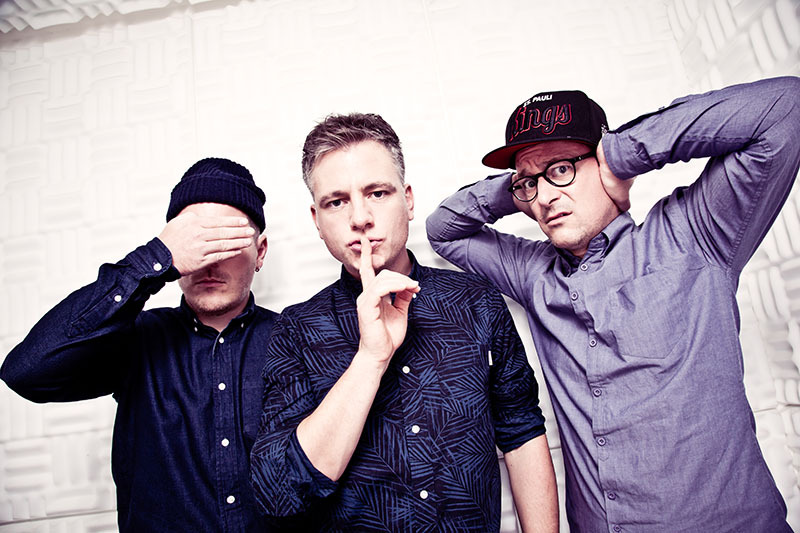 The festival draws on the reputation of Hamburg’s club scene, which has evolved over decades in the streets around the Reeperbahn – an area that used to be known as »the sinful mile«. 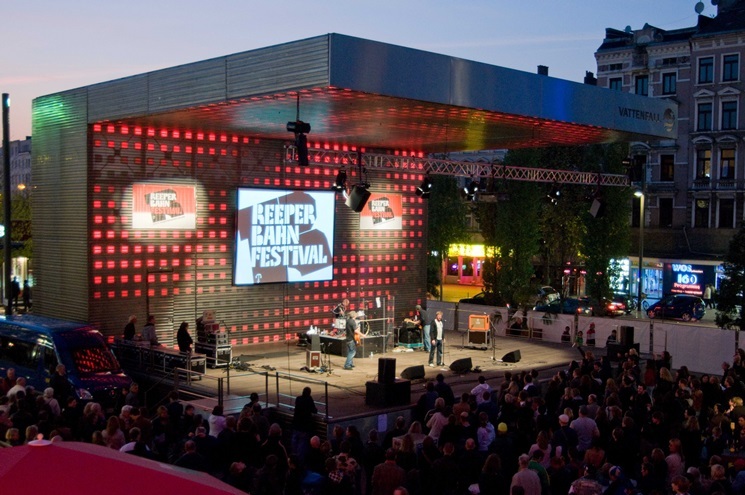 In the course of only a few years, the Reeperbahn Festival has become the most important festival of its kind in Europe, similar to the SouthBySouthwest festival in the United States. The Dockville Festival in the district of Wilhelmsburg is also unfurling a growing appeal with its cool mix of contemporary music styles, art and community-based projects. 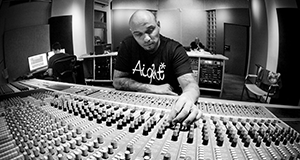 All those who are into currents outside the mainstream are fully catered for by experimental contemporary music festivals such as the Blurred Edges, the Klub Katarakt or the Greatest Hits. Hamburg‘s lively jazz scene gathers in such clubs as the Golem, the Cascadas Bar, the Birdland, and, during the Überjazz Festival, at the Kampnagel. The Elbjazz Festival, a large outdoor festival in Hamburg’s port, will resume in 2017 after a one-year break and will be held in part in the Elbphilharmonie Hamburg. Hamburg also caters for young talent. The State Youth Music College is the biggest music college in Germany and also has for the past few years had its own auditorium, the Miralles Saal, which can be used for professional performances. Hamburg’s three professional orchestras and some of the smaller ensembles offer their own education projects, while also maintaining training colleges and sponsorships for school orchestras. Music education activities that were formerly offered under the roof of the Laeiszhalle will be relocated to the Elbphilharmonie in January 2017 as part of a comprehensive music education programme that will include concerts for children and families, interactive projects and workshop for all age groups. This is also where the »World of Instruments« will be found soon – a project that enables mostly children to experience musical instruments first-hand. In the past, this project was located in the Laeiszhalle’s basement, then under the name of »Klingendes Museum«. The Hamburg School of Music and Theater (HfMT) play on stage in their own premises and feature e.g. productions by graduates of their opera directing degree programme as well as the annual soloist competition TONALi, which provides a platform for innovative violinists, pianists and cellists under the age of 21. Last but not least, Hamburg is the world’s third largest musical location, just after London and New York. Over the years, the interplay between local concert organisers, institutions and music networks has created a climate that is vital for the growth conditions of a city that is so rich in timbres and diverse sub-Scenes.